As promised, here are some photos of the latest shop project. This is one of those projects for the shop, not from the shop. For some time, I have wanted to use the north window of the front room as a display window, but the bottom of the window is too high off the floor to make an effective display. The new platform has the advantage of storage space underneath. The drawers are 14″ overdraw slides, so 15″ deep. 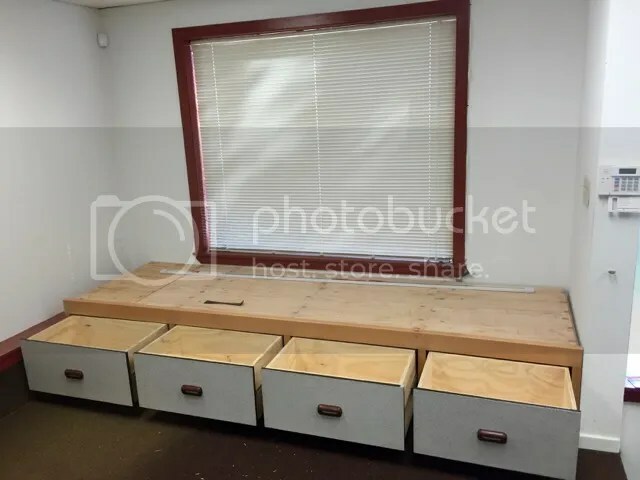 I plan to use at least one as a lateral file cabinet for plans etc. 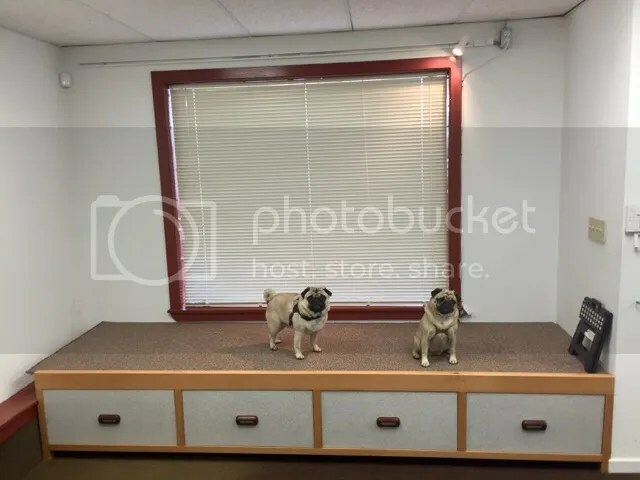 Track lighting and carpet are added here, as shown off by Pugsley and Peggy Tzu. I eventually will hang a dark curtain as a backdrop for the window. When that’s done, I’ll have another picture, or two, for you. Hey Tom! 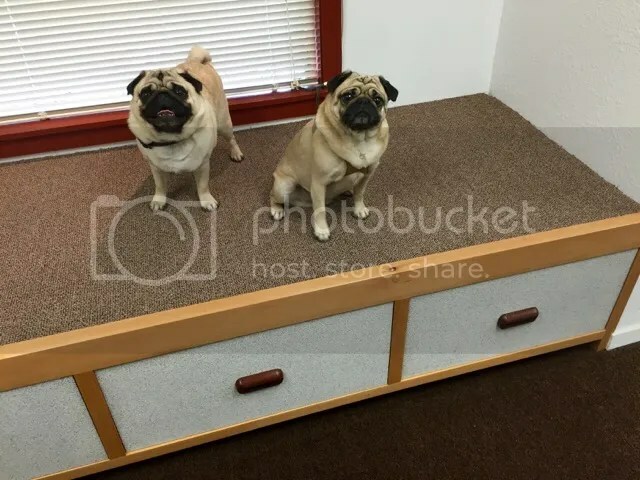 Are Peggy Tzu and Pugsley boyfriend and girlfriend? No, they’re just buddies from the old neighborhood, who occasionally indulge in some platonic facebiting (it’s a pug thing). That’s excellent Tom. Can’t wait to see the displayed items!